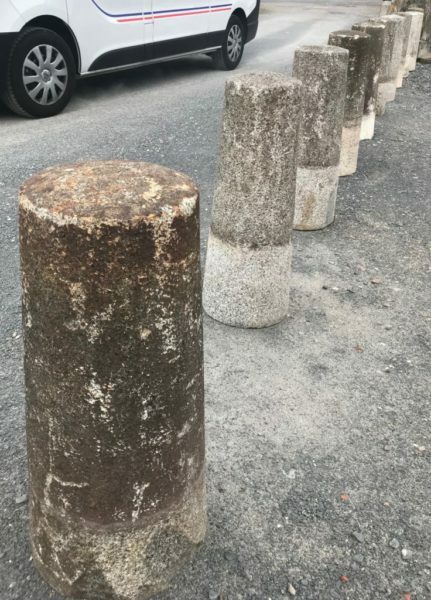 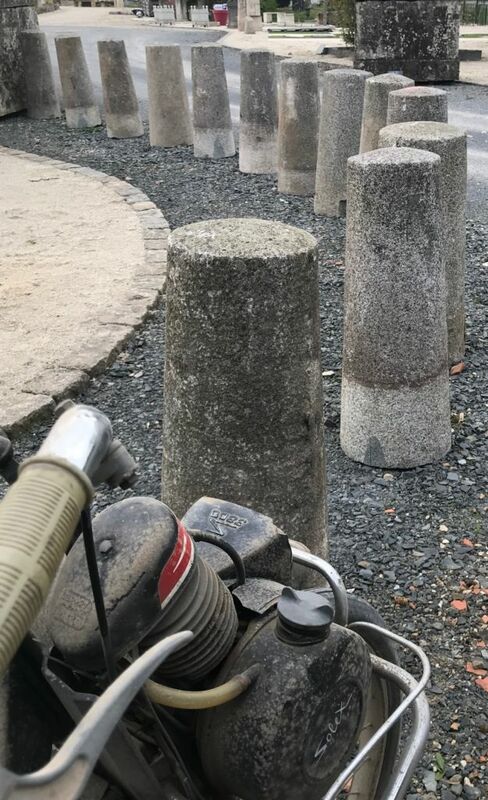 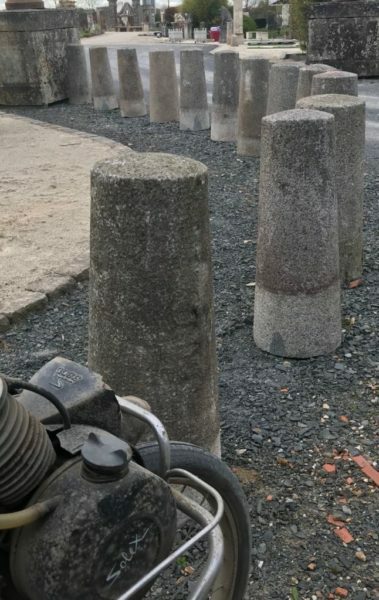 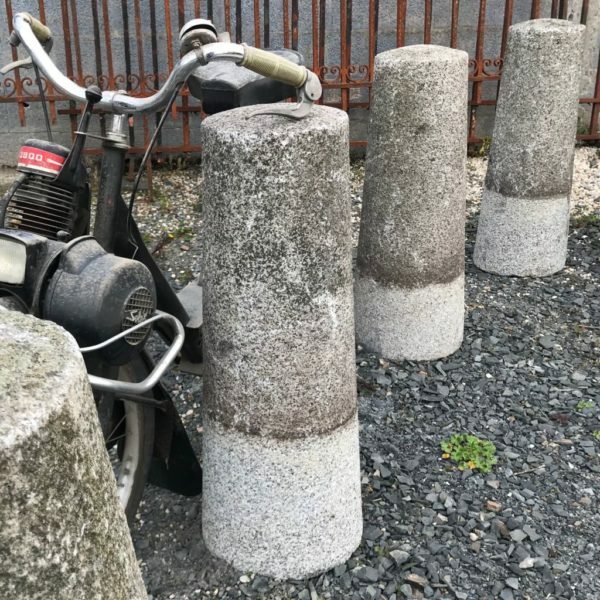 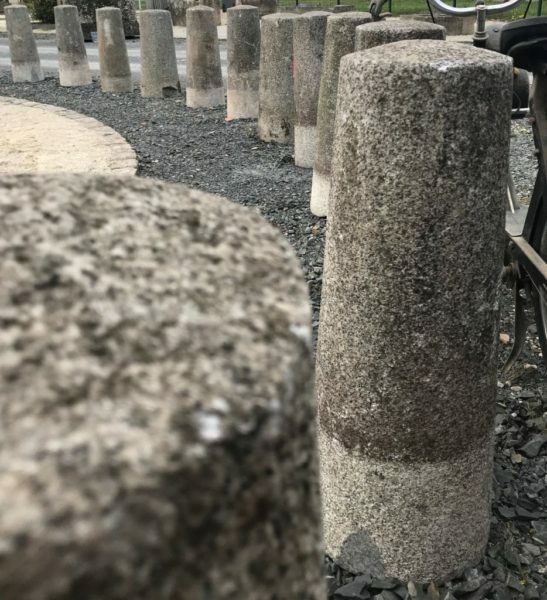 Row of antique granite driveway posts : Collection of 33 French antique granite posts, ideal for re-use for lining a driveways. Their bases are flat on the underside. They are 20th century but more precise age unknown. 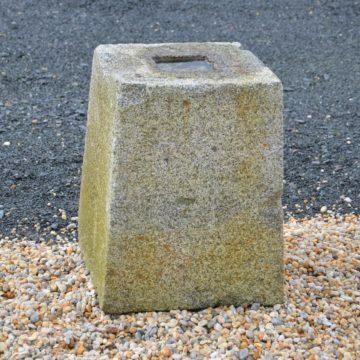 23cm diameter at the top. 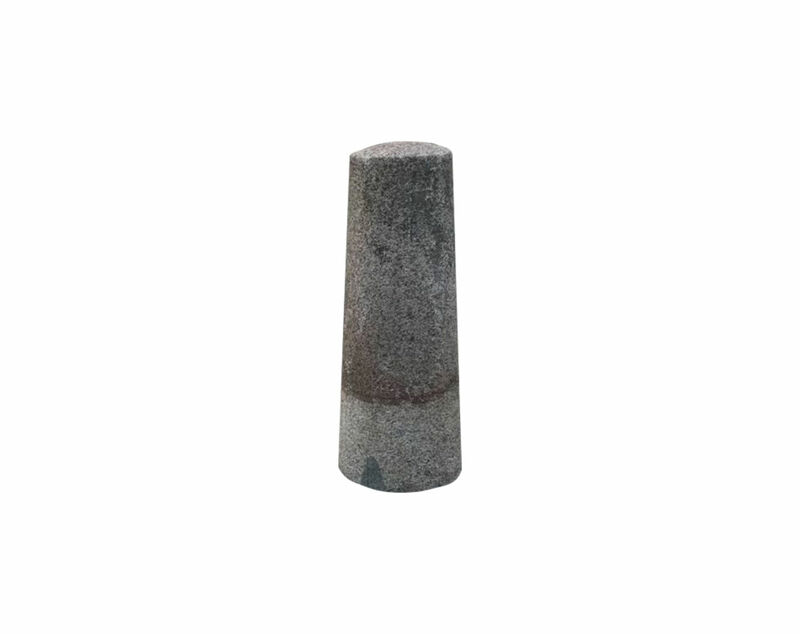 9 inches diameter at the top. 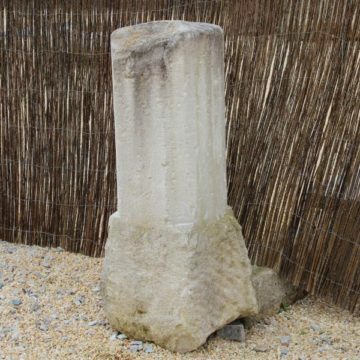 They are on display at BCA’s Mery Corbon premises between Caen and Lisieux in Normandy.